One of the pure joys of photography is capturing earth’s natural beauty. 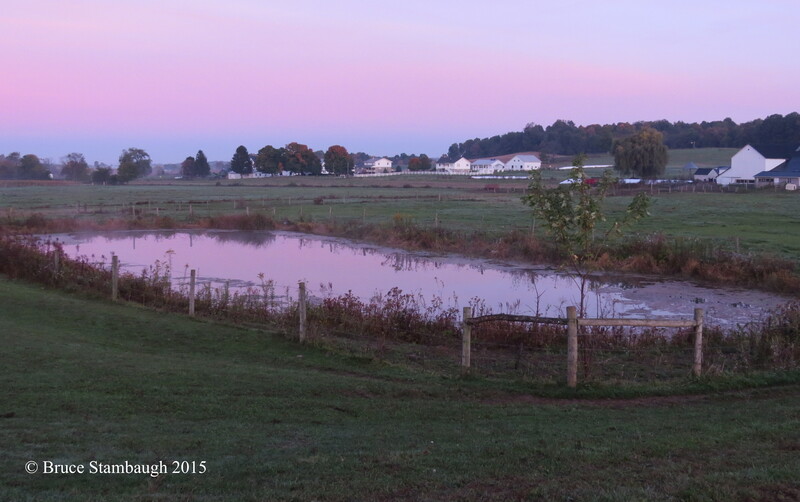 This photo of dawn’s early light reflecting on a farm pond shows that. However, viewing the scene in its entirety we discover even more natural beauty. Typical of an early fall morning at sunrise, the combination of refreshing, cool air meeting the warmer surface of the pastures and pond creates a fine mist and heavy dew. Gazing deeper into the background finds even more loveliness. Looking west, the gray-blue of earth’s shadow contrasted by the rosy pink of the Belt of Venus perfect the setting. As the sun rises, however, the scene quickly changes, erasing the magical moment. “Dawn’s Beauties” is my Photo of the Week.